On September 23, we celebrate the Feast of St. Pio Pietrelcina, or Padre Pio, as he is known worldwide. Padre Pio was a man who bore numerous sufferings and trials throughout his life with great patience, seeing in them a way to conform himself more with Our Lord Crucified. A man of constant prayer, “I am a poor Franciscan who prays,” he said, of charity and generosity in administering the Sacrament of Confession, Padre Pio saw Jesus in the sick and the suffering. His life became more complicated after that. A lot of people among which were medical doctors, Church authorities and curiosity seekers came to see him. On two occasions (1924 and 1931), the authenticity of the stigmata was put into question. He was prohibited from celebrating the Holy Mass publicly and from hearing confessions. 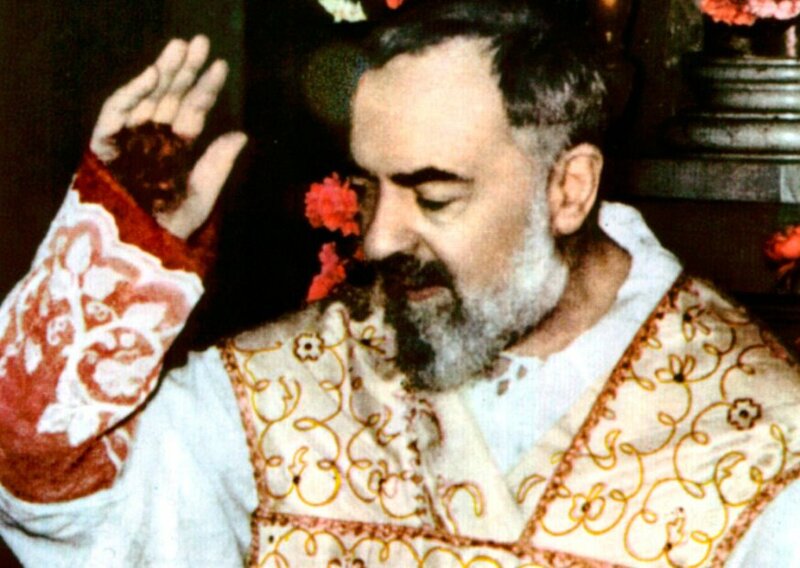 In spite of all these, Padre Pio maintained his calm, without complaining. Soon after, these prohibitions were lifted. Visit San Giovanni Rotondo, where Padre Pio spent most of his life and where his tomb can be found today. See the cell in which Padre Pio lived and died and the crucifix in front of which he received the stigmata while praying in the Church of Our Lady of Grace.